Lavender plants are in full bloom here in the Texas Hill Country and in honor of the blooming season, Blanco's Chamber of Commerce will be holding their 9th Annual Blanco Lavender Festival this June 7th - June 9th. In addition to the scenic Texas landscape and fragrant wild flowers in Blanco, Texas, 45 minutes West from the Inn Above Onion Creek, the Lavender Festival will be filled to the brim with things to do. 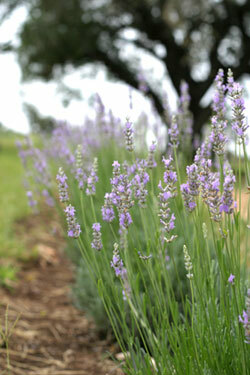 You can shop for fresh lavender products at the Lavender Market or take a free tour of some of the local lavender farms. Stop by the Speaker’s Pavilion to learn some culinary and gardening tricks or enjoy a delicious bite at the festival's Beer and Wine tent, which will feature wine, beer and food from all over Texas.